Nebraska has its first known preferred walk-on commit for the 2019 class, as Lincoln Southeast punter/tight end/defense end/he'll-do-whatever-you-want Grant Detlefsen‍ announced his intention to join the Huskers on Twitter Thursday night. As mentioned above, Detlefsen does a bit of everything for the Knights. The 6-foot-3, 200-pound athlete had eight carries, 23 receptions and 304 all-purpose yards for Southeast as a junior in 2017. But Detlefsen's best foot forward –– literally in this case –– might be his punting ability. He averaged 42.9 yards per punt last season and holds a 42.4 career average to this point. Nebraska's has had great success with in-state, walk-on specialists over a long period of time. 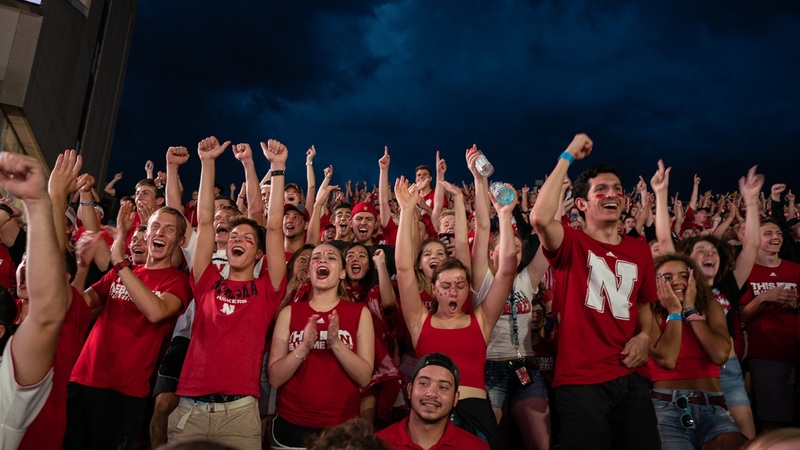 The Huskers' current backups at kicker and punter –– Cole Frahm and Isaac Armstrong respectively –– are walk-ons from Nebraska. Armstrong, like starting punter Caleb Lightbourn, will be a senior in 2019. You'll read more about one of those great Nebraska walk-on kickers today, and you don't want to miss it. In case you missed it, Nebraska volleyball beat Creighton in another volleyball classic for the city of Omaha. The seventh-ranked Huskers rallied from two sets down behind yet another great match from outside hitter Mikaela Foecke in this setting. Foecke finished with a career-high 25 kills on .351 hitting with 13 digs, five blocks and four aces. In four career matches at CHI Health Center Omaha (previously named CenturyLink Center Omaha), Foecke has averaged 4.6 kills on .369 hitting. The previous three matches came in 2015 when Nebraska swept Creighton in the regular season then went on to beat Kansas and Texas in the Final Four, where Foecke was named Most Outstanding Player in front of an NCAA record crowd of 17,561. Be sure to check out our gallery from last night's match featuring the photographs of Eric Francis. A pair of columns –– one from here, one from there –– on the good ol' days of Nebraska-Colorado. The difference between college and pro RPOs. ICYMI: Wandale Robinson recaps his visit to Nebraska with recruiting analyst Greg Smith.